UK-based distributor Silverlining Rights has picked up the rights to the fifth season of the docusoap, GPs: Behind Closed Doors. 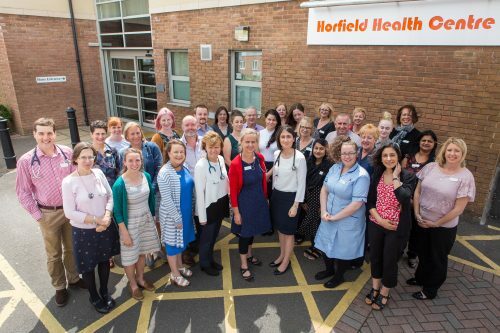 The new season (42 x 60′) will take place in the Horfield Health Centre in Bristol, England, where audiences will get a first-hand look at the stress, strains and joys of working in and using the NHS in modern Britain. GPs: Behind Closed Doors (pictured), which premieres in the UK on Channel 5 at 8 p.m. tonight (July 26), joins the stable of other Knickerbockerglory titles represented by Silverlining, including Stage School, Gypsy Kids: Our Secret World and Mind The Age Gap. International sales for previous series of GPs: Behind Closed Doors have been made to Australia, Belgium, Denmark, Germany, Greenland, Ireland, Italy, The Netherlands, New Zealand, Norway, Sweden and Turkey.